This here page is up! Complete site overhaul: Everything updated for the release of the new album. New Updates to Member Info, Summer 99 tour pictures, sound files added, new shows, email list added (see main page), new merch at ordering info, and more. lyrics, ordering info, and news updated for new album. sound files to come. zoe did some updates! news, info, tour dates (sort of), links, members, discography, and i promise more to come! info, news, discography, ordering info, and tours. put a new interview up! ordering info page... NEW MAILING ADDRESS! and t-shirt info. d.b.s. 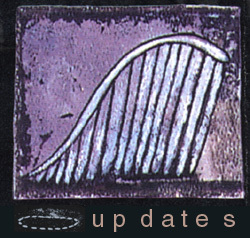 1992-2000. updates to news, info, and some other stuff. LAST SHOWS ANNOUNCED! updates to news, info, ordering info, shows and some other stuff. updates to lots of this site. probably the last update. visit ACHERECORDS for any other info.